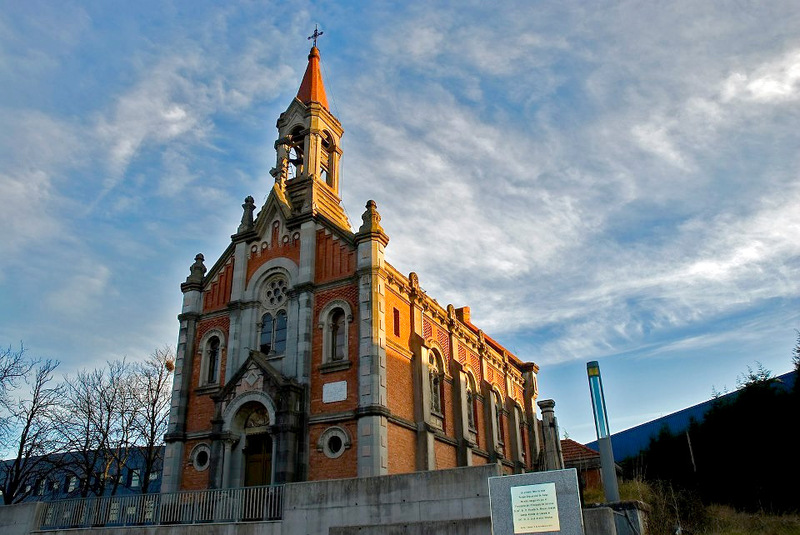 The church of Santa Barbara in Llanera, Asturias, Spain, which was first designed by Asturian architect Manuel del Busto in 1912, remained neglected and therefore left in a state of decay. 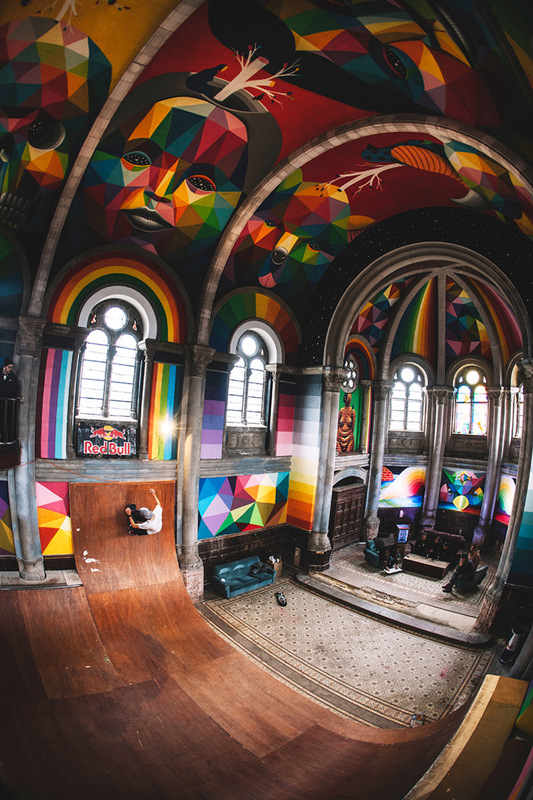 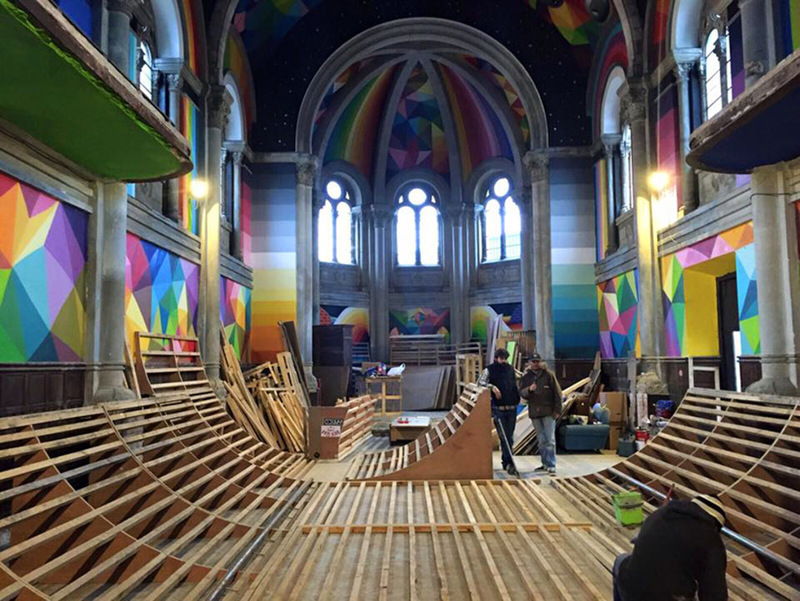 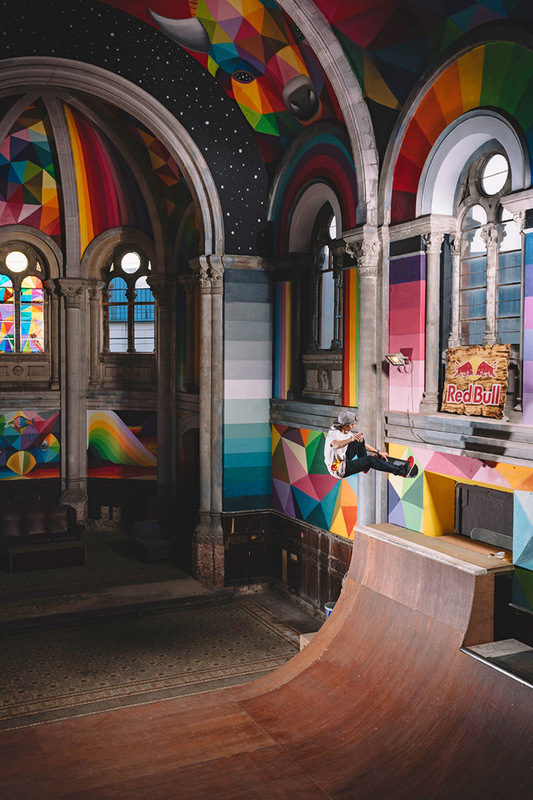 But the church has been completely transformed into a public skate park dubbed Kaos Temple due to some resourceful peers lead by a group ‘Church Brigade’ with aid from fundraising and RedBull. 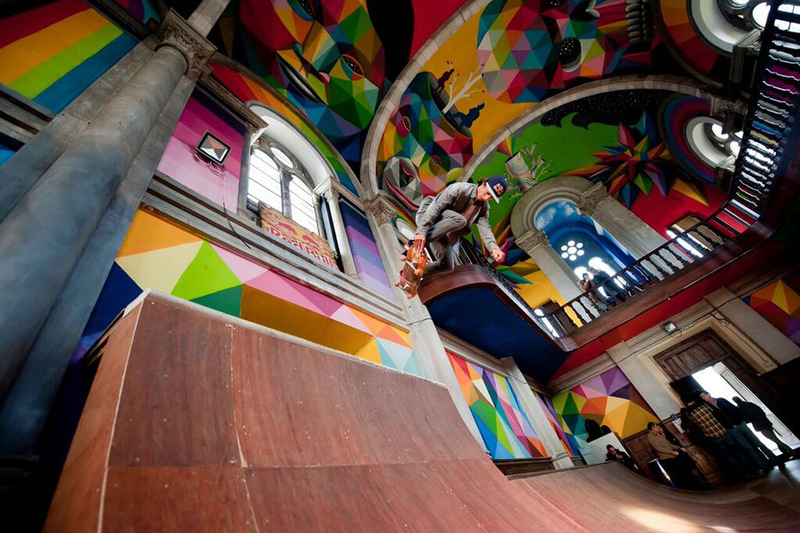 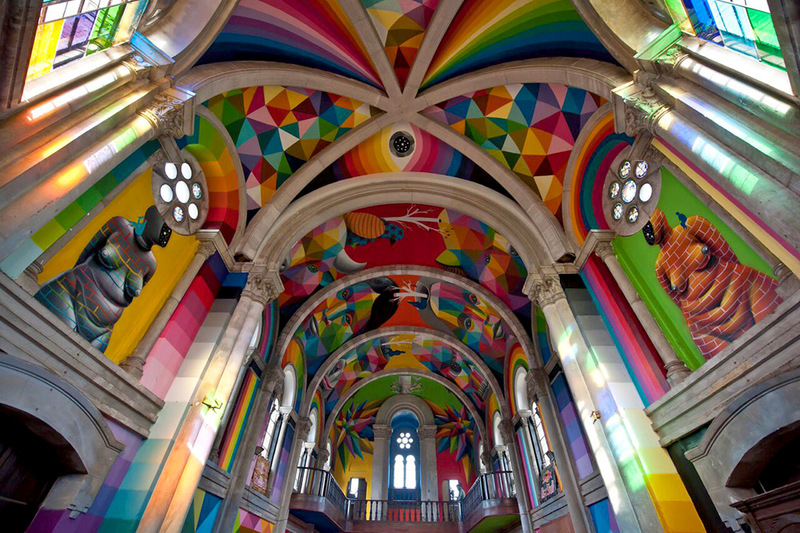 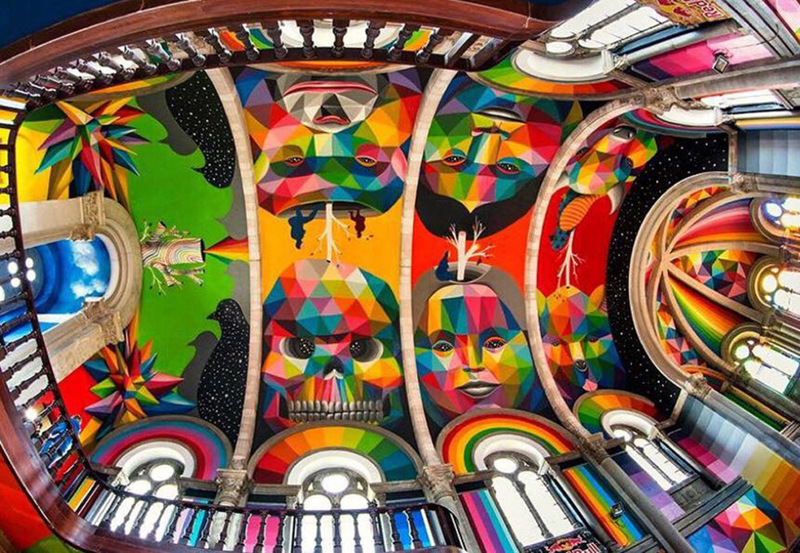 To make the new use of the church even more special and solely, artist Okuda San Miguel put his mark on the building with colourful, geometrical murals. 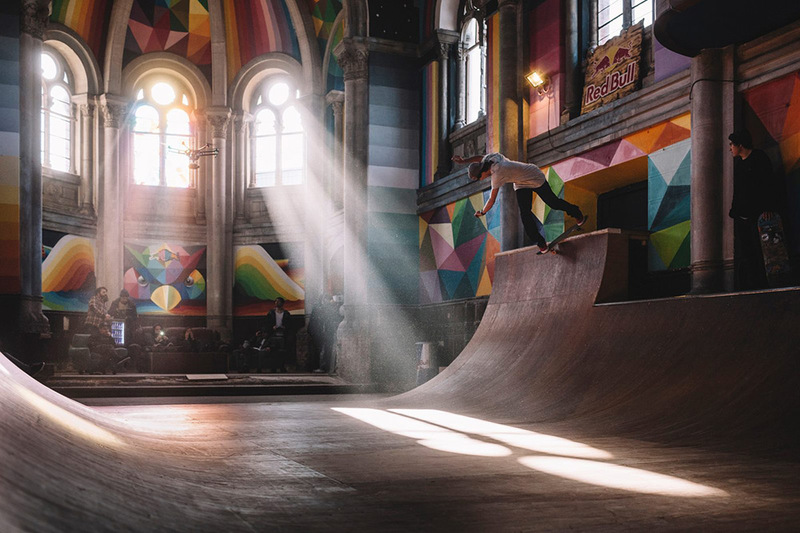 Almost every horizontal interior surface is brimming with a mosaic of colours and light from the tall windows, making the experience of skating pretty unequaled. 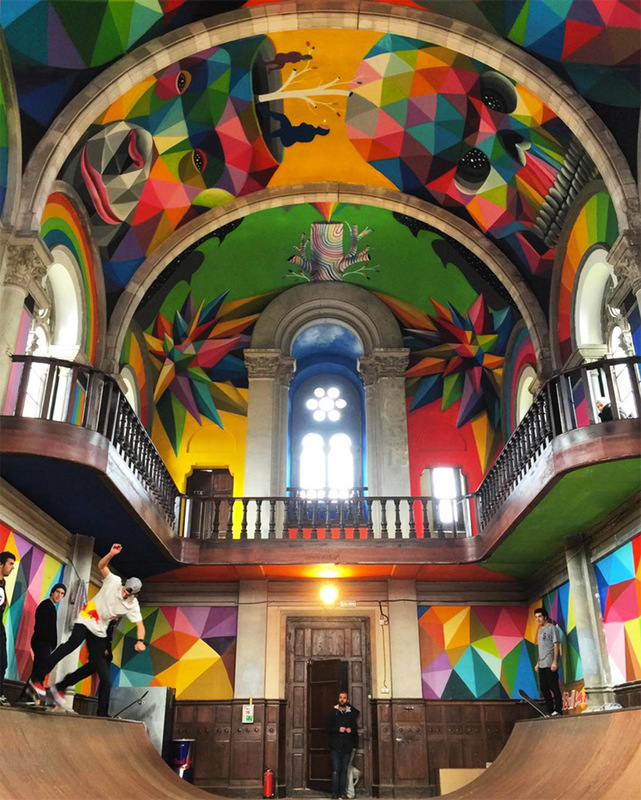 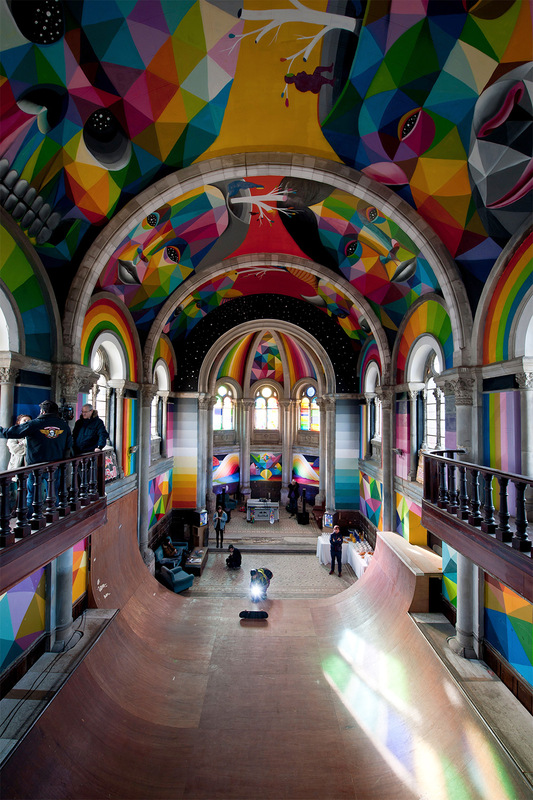 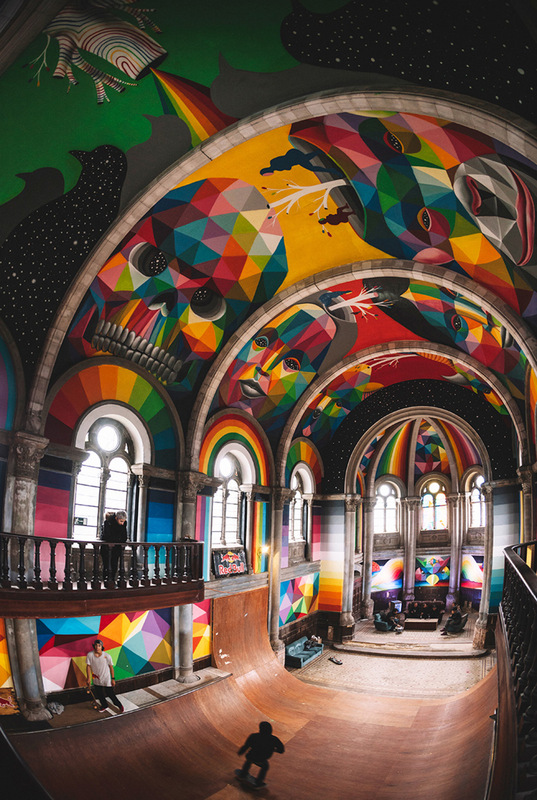 Have a look at the pictures of the stunning skate park and check the video in which Okuda shares his inspiration for Kaos temple and his other works around the world.